The main reason most people use credit is that they do not have the cash to pay the total cost of an item or service at one time. Another reason is that it may be easier to pay for an item through regular installment payments. 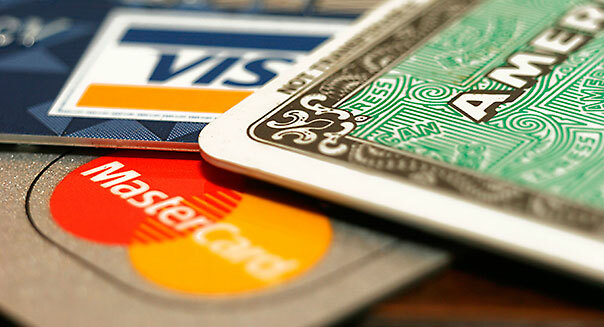 Buying on credit gives you the use of goods and services before you have to pay for them. However, it is important to remember that credit is not free. Buying “on time” means paying charges and interest on your payments. These costs can add up quickly. The cost of the interest charged on a loan must be told to you. The Annual Percentage Rate (APR) tells you the annual interest rate of the loan. You can use the APR to compare the cost of one loan versus another. For some cards, APR may be in the 18-20 percent range, or even higher! Creditors use information about you and your credit experiences to decide whether or not to give you credit. Your bill-paying history and the number and types of accounts that you have help make this decision. Creditors also use past history on late payments, collection actions, outstanding debt, and the age of your accounts. Character: Will you repay the debt? How have you paid bills in the past? Collateral: What will the lender get if you don’t repay the debt? Capacity: Can you repay the debt? Do you have adequate income or other available money to pay the debt? Capital: What is your net worth? Your net worth is calculated by subtracting your debts from your assets. Assets are items such as money you have and the value of the things you own such as a car or home. Conditions: How much money is available in the economy to loan money? When money is tight, interest rates tend to be high. Take out a small loan (for example, for a small household appliance or electronic equipment) and pay it off on time. Check your credit report to be sure that your report is complete and accurate. Check that payments you are paying on time each month (such as rent or utility payments) are reported on your credit report. Apply for a secured credit card from a local bank or credit union. To get a secured credit card you must have money in a savings account as collateral. Check to be sure that payments will be reported to your credit report. Don’t move or change jobs frequently. Have credit in your own name. Remember, when you use credit you are using or borrowing someone else’s money. Before you accept credit from a lender, you want to think about how much money you can afford to borrow. Too much credit can lead to problems.